ATTENTION!...FOR ALL MOBILE DEVICE USER'S SCROLL TO THE BOTTOM OF THE PAGE AND CLICK ON "WEB" TO OPEN THE FULL WEBSITE. IF YOU ARE SEEING A PLAIN WHITE BACKGROUND YOU MUST CLICK ON "WEB". ​Be trained by an Athlete! Donovan Russell is a British English qualified Personal Trainer based in Milan. He earned himself a reputation within the UK fitness industry for being one of the best, successful, dedicated, motivational and inspiring personal trainers who practices exactly what he preaches and who guarantees you results! Donovan's athletic ability and training methods have proved so successful that he has made two big milestones by gaining recognition and landing two contracts from two of the UK's leading Sports Nutrition Companies. 'Maximuscle' sports nutrition company (Now known as Maxinutrition) sponsored Donovan for 5 years as an Athlete and Sports model from 2000 to 2005. In 2008 Donovan became sponsored by 'Sci-MX' sports nutrition company (http://www.sci-mx.co.uk) as an Athlete and Sports model until 2015 when he became a Sci-mx Ambassador. Being extremely passionate about his job and his training Donovan leads by example, he focuses only on reaching all his clients goals and designing programs that are effective, fun and challenging for men and women of all fitness levels. Donovan will be able to help you achieve all of these things and he only ask in return one thing from you, "Commitment". 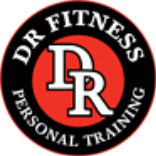 By visiting Dr Fitness Personal Training you have already taken the first steps to achieving your goals now let them be achieved. 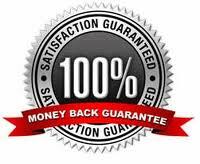 PERSONAL TRAINING WITH A 100% MONEY BACK GUARANTEE! Your journey to achieving your goals has now started, now let's make it complete! COMMITMENT + DONOVAN = RESULTS!